To take advantage of this offer, contact a distributor or call. 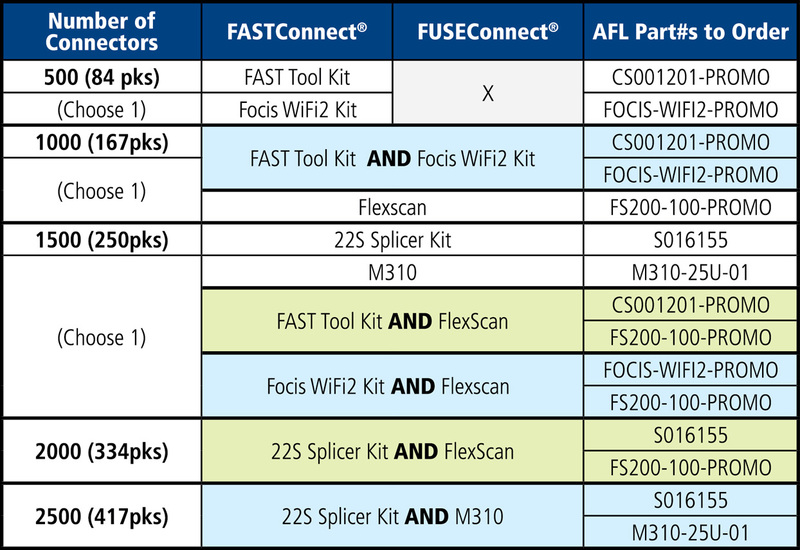 Purchase 500+ FASTConnect and/or FUSEConnect connectors November 6 – January 31 and receive a Fujikura fusion splicer, test equipment or a tool kit! *Promo kits including fusion splicers only valid in North America.